About Primorsky kray. Primorye. Trip to Primorye. Primorsky kray tour. Trip to Russia. Russia Far East. Legend tour. About Primorsky kray. Primorye. Trip to Primorye. Primorsky kray tour. Primorsky Krai (Primorye), a state of unusual beauty in Russia's southeastern corner, offers visitors an unforgettable blend of mountain, forest and sea. Bordered on the West by China, on the North by Russia's Khabarovsk Krai and on the East and South by the Sea of Japan, Primorsky Krai is a business and transport hub linking Russia's vast Far East to the burgeoning Pacific Rim. Nine hours from Moscow by plane and a week by train, Primorsky Krai, known to its residents as Primorye, is a world unto itself often described as Russia's "Gateway to the Asian Pacific". The majority of Primorye's 2.3 million inhabitants are concentrated in Vladivostok, Nakhodka and a few other urban centers. Most of the state is dominated by wilderness and high mountains, home to the reclusive Amursky Tiger and hundreds of other species of fauna and flora found nowhere else in the world. Primorye's hills and valleys are laced with tumbling waterfalls and rapid rivers running to the East and West. The state's coastal areas feature game and marine preserves and long stretches of unspoiled beach. Those trekking to the high hills will find bubbling springs that grow into crystal-clear trout-and-salmon-filled brooks cutting down toward river and sea. 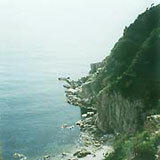 The state's largest river, the Ussuri, flows into the Amur, which forms the part of the Eastern border between China and Russia. Those heading for the coast will find bays and inlets matchless in their dense concentrations of kelp, gamefish, scallops and other treasures of the sea. Spring and Summer are short and cool, a time of mist, stiff breezes and heavy rains that feed the lush forestlands. Summer's maritime winds bring sudden storms that swell the rivers and streams. Winter temperatures are moderate and there is relatively little snow, but cold winds from the North often fill the air with icy chill. The most beautiful time of year is "Golden Autumn", which begins in August and stretches into late October. Rain is rare, and the sea is warm at this time of year, when the beaches are swept by mild Asian breezes. Most local residents wait till Autumn to take their vacations, and these are the months that attract the most visitors from abroad and the rest of Russia. 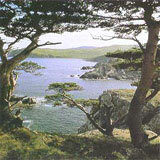 Great expanses of Primorye are covered with forests of pine, fir, spruce and cedar, oak, ash, maple and birch, known collectively as the "Ussuri Taiga". The taiga's highly varied world of animals and plants features old-growth stands of towering evergreen and broadleaf rimmed by thick underbrush bearing hundreds of edible species of berries and nuts. Among the rarest treasures is the ginseng root, prized in Asia and Eastern Russia as "the Root of Life" for its mysterious but renowned healing properties. Though home to many formidable animal species, the Ussuri Taiga is ruled by just one - the Amursky Tiger. The tiger shares its domain with lynx and bear, mink and the sharp-eared black squirrel, wild boar, spotted dear and the "izyubr", an elk-like creature more numerous but no less reclusive than the tiger. 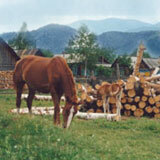 Primorye's wealth is not confined to its flora and fauna. Rich in resources, the area boasts large deposits of zinc, lead, boron, fluorite, tungsten and coal along with vast stores of timber and economically significant amounts of gold and silver. Coastal waters teem with crab, pollack and other species in great demand in Japan, Korea and elsewhere in the Asian Pacific. Commerce is supported by one of Russia's leading academic research communities, thriving ports and shipping companies, a well-developed road and rail system, recovering industry, and an increasingly sophisticated financial community. Though hard-pressed in recent years, Primorye's agricultural sector has begun to turn the corner, with increasing output of grain, produce, livestock and dairy products. Tour travels will bring you into direct contact with our region's natural beauty, economy and the people who give the state its distinctive stamp. You will see the forests, mountains and coast, the villages, towns and cities, the highways and ports, and you will have a chance to visit places preserved as they were nearly 150 years ago, when Russian explorers first set eyes on this corner of the world. the legendary Ginseng Root, treasured in the Orient as "the root of life"